A wallet is a lot more than just an object where you keep your money and cards in. It’s an extension of your personality, and the type of wallet you carry speaks volumes about the type of guy that you are. 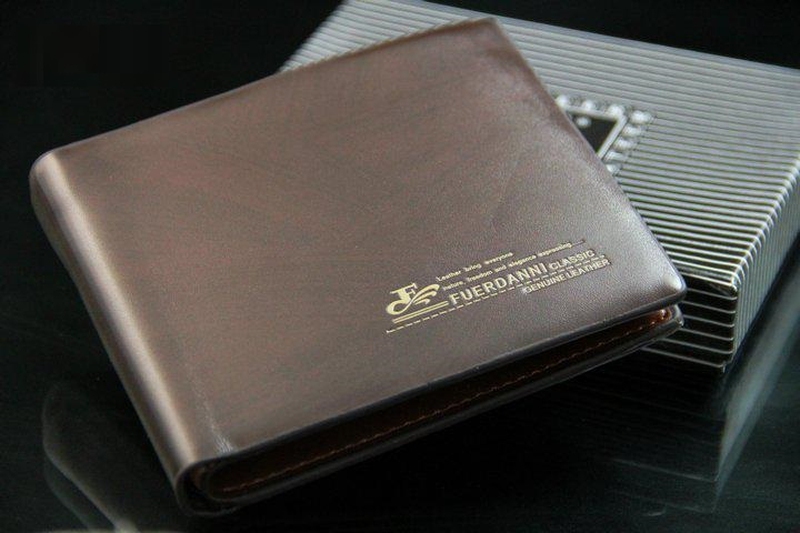 Now of course, there are many good wallets out there, but unfortunately they also happen to be very expensive. This is why we’ve compiled a list of top wallets for men in the market right now, which are not very expensive, but are stylish and extremely handy. There’s a lot more to a wallet than just running to the nearest store and picking out one which suits your budget, you know. So the next time you’re out or shopping online, keep an eye out for these beauties. At $55, this little baby might be a tad expensive for some of you, but trust me when I say it’s worth the money. If you’re the type of guy who prefers minimalism and would rather stay away from wallets that are bulky or gaudy, then this slim wallet is the perfect fit for you. Hand crafted from a single piece of wood, this rounded wood wallet sure is a work of art! Made from fine leather, this wallet is for a man who has quite a few cards to carry in his wallet and needs enough space to store them. It has 2 card slots, both of which together can hold a total of 5 cards in them. The front slot is transparent, which means you can place your driver’s license or ID card in it without having to bother to take it out to show as proof of identity from time to time. The cash slot is thick enough to hold a thick wad of bills. The best part is that it is sold in 4 different colors – tobacco, chestnut, carbon and dark coffee. So go ahead and take your pick from these best wallets for men. If you’re the type of guy who has a habit of putting everything in the wallet, then this aluminum wallet is just the thing for you. It keeps all your clutter in one place, and its RFID-blocking technology protects all your cards from any external damage. Neat, huh? Not to mention its ultra classy look. With a microfiber interior and leather exterior (or a nylon microfiber version), this is the type of wallet you carry to casual occasions. Not only does it have the capacity to carry 4 cards at once, but also has two thin hidden storage pockets, upping the option of carrying a maximum of 6 cards in total. Much like the Saddleback Front Pocket Wallet ID, this one too has a clear pocket where you can safely put your ID cards in. Its cash pocket is big enough to keep your currency notes easily in it, and its edges are rounded, giving it a great ergonomic appearance. For those of you who like to put your entire house in your wallets, this wallet has got your back. It’s lightweight, spacious and durable; in fact, it’s one of the best wallets for men when it comes to bifolds. If you’re looking for something long lasting, then this is the wallet for you. Ah, another wooden wallet. I just couldn’t help myself, seeing how gorgeous they are! At $35, this one is a steal and a decent dupe for the rounded wood wallet by Slim Timber. Keep in mind though that since this is a slim wallet, it can only house the essentials – a little cash and a couple of cards. Nothing more. If you’re a fan of Pulp Fiction, then you already know about this wallet which was immortalized by Samuel L Jackson’s character. Did you know that you can buy one of your own and in your own way, be part of the crazy Pulp Fiction fandom? It’s your typical billfold wallet that has a clear ID sleeve, 2 billfold pockets, 2 hidden sleeves and 3 quick access sleeves. And this 100% leather wallet comes cheap – at $15; it’s a complete steal. It’s available in two different shades – black leather with text embroidered in white; or brown leather with text embroidered in black. Take your pick. On the outside, it’s made of leather while on the inside it’s made of ripstop nylon. This wallet is really sturdy and reliable. And guess what? If you’re a card hoarder, then this is a dream wallet for you because believe it or not, it has the capacity to house 24 cards all at once! The inside of the slot has a rubber grip that prevents the cards from slipping out unnoticed, which is great if you’re clumsy or absent minded. You can also add your money to this wallet and despite all that thickness, it can easily fold and fit inside your pocket. This means you can easily add bills and other important documents to your wallet and it wouldn’t tear at the seams. Definitely one of the best wallets for men who want to put everything like keys, bills, coins, cards, etc. in their wallet.